Honda Navi has neither the practicality of a scooter nor does it have the power of a motorcycle.The Honda Navi is for those who like to express themselves through the two-wheeler that they ride. Marketers are always doing their best practices on brands research .they love to think out of the box and delight their customers by their outcomes.In a Modern marketing , Marketer taking an unconventional route to make a product or create a unique customer segment.This kind of route of marketing will create a huge buzz into the particular segments. Honda is a Japanese two-wheeler giant and having the leading position into the scooter segment in the Indian market.Honda has made a remarkable effort to lead the position in the Two wheeler industry and enjoying the success of being a pioneer. Honda’s two wheeler has several inherent characteristics like stylish look, comfort, better performance, and amazing rider control. One of the such an iconic and daring brand “Honda” as its traditional strategy and new product developments practices is a concern, it comes up with unique Bike which has a soul of scooter i.e HONDA NAVI. 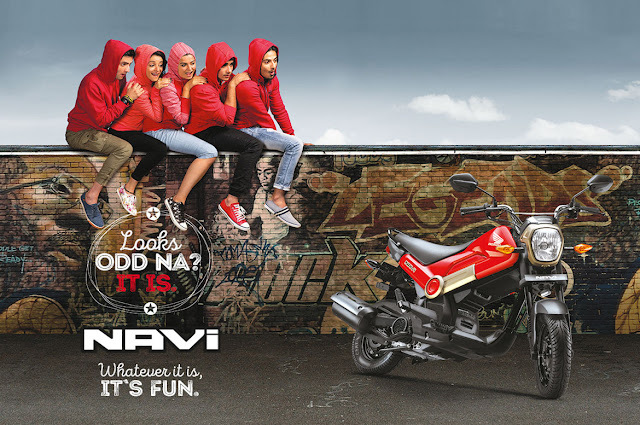 The stylish Honda logo carrying the brand name gives an irresistible look to Navi. Navi is completely different approached bike and targeted at the masses.The Navi is a mini bike concepted which have unique features like 12-inch scooter tires up front with 10-inch tires at the back, better ground clearance and telescopic front forks.This bike is running on the borrowed 110 cc engine of Honda Activa with HET (Honda Eco Technology). 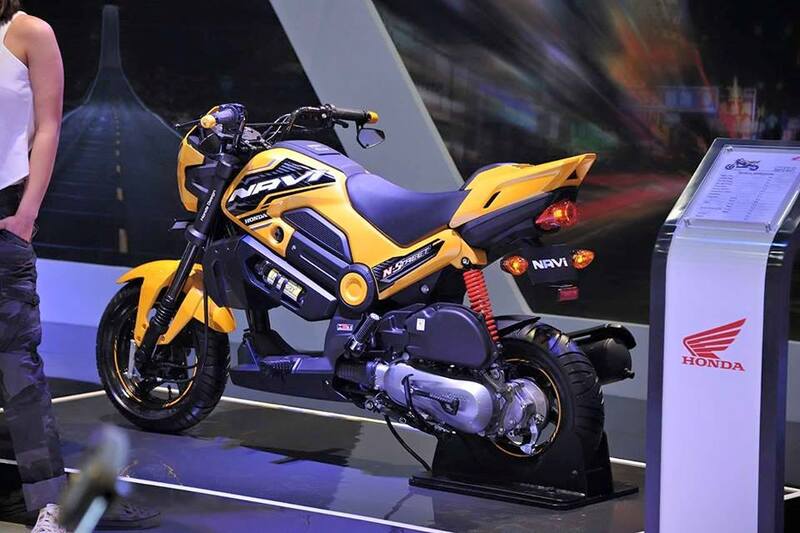 Earlier, Honda introduced the newly concepted mini Navi at the Auto Expo 2016 and generated a lot of buzz from the Indian customers. Honda has been launched in select cities in March 2016.However, this bike has a scooter like features but it’s listed neither scooter category nor Bike category.So Company wants to make a “scooter-Bike “category and add this brands into this.We can say that this is Real “FUN BIKE”.It’s nothing but the phenomenal value of money. It definitely can be used by the Men and Women both. Gear less feature will attract the females who love to ride a bike instead of scooter.so the Target market is broader than its expected. The price factor of this product is really Competitive.In this price range, we will not get such bike with such features.The Navi is a step by Honda to change the mind of the youth by introducing this Navi. This bike appeals to the youngster who is interested in cross over bikes.there are many such things like less Height, design, small Petrol tank, heavier body, Fuel efficiency issue etc which can’t be replaced a powerful bike.Whatever the reason but it’s still on experimental stage. This bike has many features that will attract the consumer to buy but it’s too early to say that it will success into the market or not.Earning from the big respects from the customers will lead this bike to reach new position. We are sure that this Brand has the capability to create its own position and make your own segment.At last, we must say that the Navi brings a fresh breath in the overcrowded two wheeler market. Your Reviews will be helpful for all viewers.We request you to please rate this brand as per your perception, satisfaction etc. We are counting your Reviews.